Clinical trials allow patients to receive new drugs and treatments that they would otherwise be unable to obtain, always ensuring patient safety and the most rigorous ethical safeguards. The goal is to integrate clinical investigation into daily clinical practice and speed up access to novel drugs for our patients. We have actively participated in numerous clinical trials, many of which have resulted in the approval of new, more effective treatments for cancer. From left to right: Carles Esparré, Georgina Simó, Dr. Alejandro Martínez Bueno, Teresa Alonso, Elena Ovalle. Our Clinical Trials Unit has a dedicated team of Coordinators, state-of-the-art facilities and a highly qualified team of professionals, offering patients the chance to receive novel treatments by entering into a clinical trial. The Unit works closely with all hospital services necessary to ensure our patients receive the best possible care. 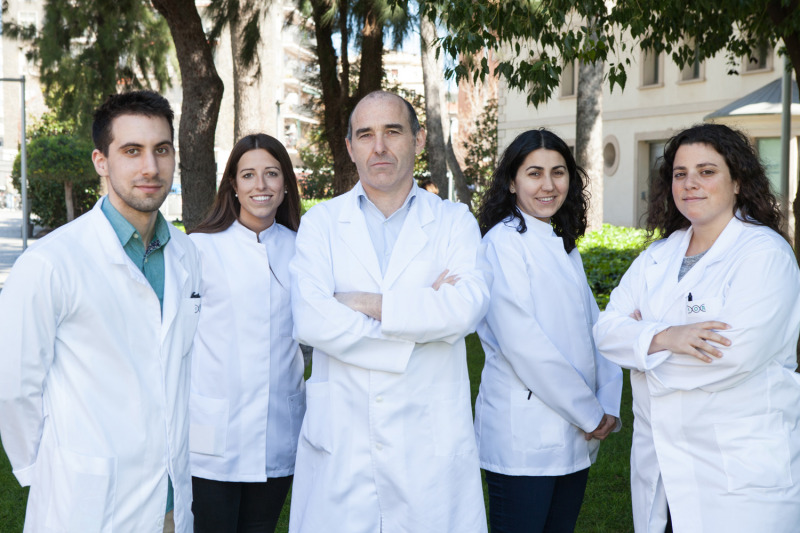 The Clinical Research Ethical Committee (CREC) at the Quirón Dexeus University Hospital is accredited by the Ministry of Health and meets on a monthly basis. Its task is to analyze and assess all proposals from the various Clinical Departments relating to programs of research, development and study of new drugs in patients, so as to ensure an ethical framework which protects patient rights. The Committee regularly evaluates clinical trials and research projects in different specialist medical fields. Every one of our clinical research programs has been evaluated and approved by the Committee. Dr. Martínez Bueno holds a degree in Medicine and Surgery from the University of Cantabria and trained in Medical Oncology at the Hospital Donostia, Gipuzkoa. He has actively participated in numerous research projects presented at international scientific congresses, and has coauthored publications in renowned biomedical journals. Teresa Alonso holds a degree in Pharmacy from the University of Barcelona, and a postgraduate degree in Methodology, Design and Development of Oncology Clinical Trials. Previous experience in observational studies and clinical trials at the Catalan Institute of Oncology (ICO) Hospitalet, Barcelona, and at the Personalized and Predictive Cancer Medicine Institute (IMPPC), Hospital Germans Trias i Pujol, Badalona, Barcelona. Elena Ovalle is a student of Medicine at the Pompeu Fabra University and the Autonomous University of Barcelona. She acquired extensive sample processing, laboratory and teaching experience from the Hospital de Bellvitge, Hospital Vall d'Hebron and Sagrat Cor Hospital, Barcelona. She has coauthored publications in peer-reviewed scientific journals. Carlos Esparré holds a degree in Biochemistry, a BSc in Biotechnology from the University of Barcelona and an MSc in Clinical Trials Monitorization from the Barcelona College of Physicians. Previous experience as Clinical Trials Assistant at the Hospital de Mataró, and as an investigator at the Spanish National Research Council (CSIC), the Genetic Engineering Research Group of the University of Barcelona, and the Agro-Genomics Research Center of the Autonomous University of Barcelona. Georgina Simó graduated in Nursing from the Autonomous University of Barcelona (UAB) and holds a Masters in Healthcare Management from the International University of Catalonia (UIC). She has trained in oncology and hematology patient care at the Catalan Institute of Oncology (ICO) and has extensive experience in the Oncology dept. Outpatients, and the Oncology dept. of the Dexeus University Hospital, Quirónsalud Group. Sign up for regular alerts to keep abreast of the latest news about treatments, research and advances in the fight against cancer, as well as the activities of the Dr. Rosell Oncology Institute. You agree to the processing of your data for commercial or promotional purposes by our organization.